Take a look at our new programme and come along to one of our meetings, held in Coddington Village Hall starting at 7:30. Use the contact form to introduce yourself so someone can meet you at the door. Our programme for next year now available. Click here to see photos of the 2015 Seniors' lunch in the gallery. Click here to see the photos of our Christmas tree 2014 in the gallery. Our entry for the Newark show depicting 'Inspiring Music' scored 75½ points and was awarded 8th place. Our entry featured 'Wherever You Are' by the Military Wives Choir. Wendy Parrett came first with her beaded necklace and Marilyn Membery took a second and third place with her savoury and sweet biscuits respectively. Wendy was also awarded the best in show for her necklace and will be presented with the cup at the Autumn Council Meeting in September. Coddington WI celebrated their 80th birthday this month with a party for 60 members and guests. The party began with a presentation to the retiring president, Christine Carr and entertainment from ‘Well Versed’. Afterwards a hot meal was served by Marilyn Membery and her team of helpers. The celebration cake was made and iced by Sue Sprigings. The draw for the Denman bursary was won by Rita Stevenson and Anne King with Diane Peet as reserve. Today saw the launch of a web site for Coddington WI. Committee member Jan Phillips went on a training course at WI house to learn how to build the site. 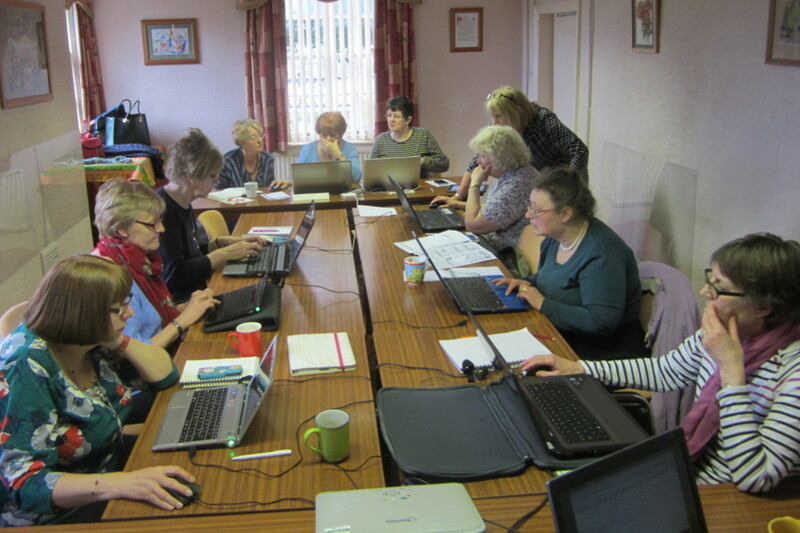 On Monday 10th March several members of various Nottinghamshire WIs attended a workshop to learn how to create their web pages. The workshop, held in the Riverside room at WI house was a great success. There are some WI photos in the photos section. Coddington village women's institute is a diverse group of women who meet for social and educational purposes once a month. New members are always welcome, just come long to one of our meetings as a taster. To email us please use the simple contact us form.